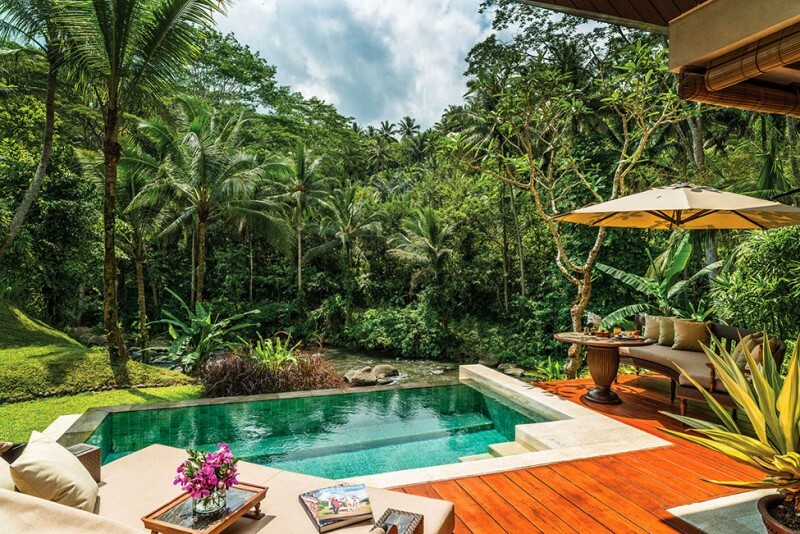 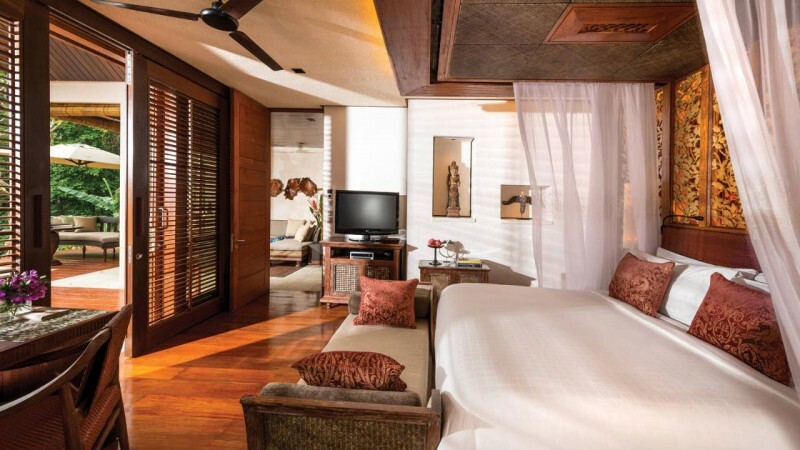 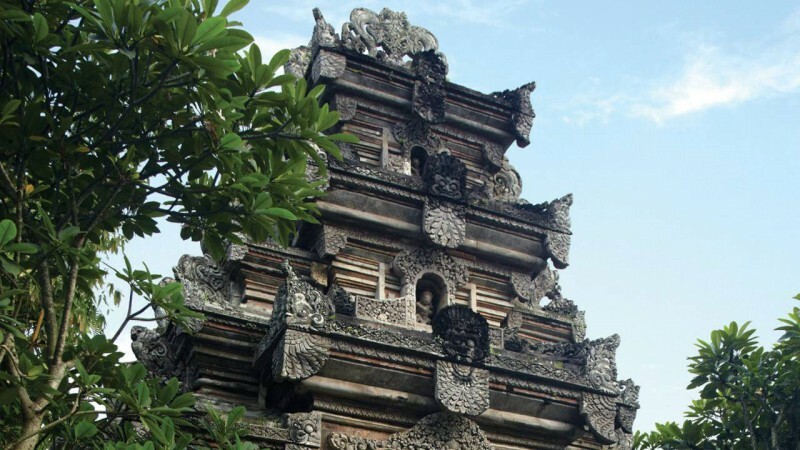 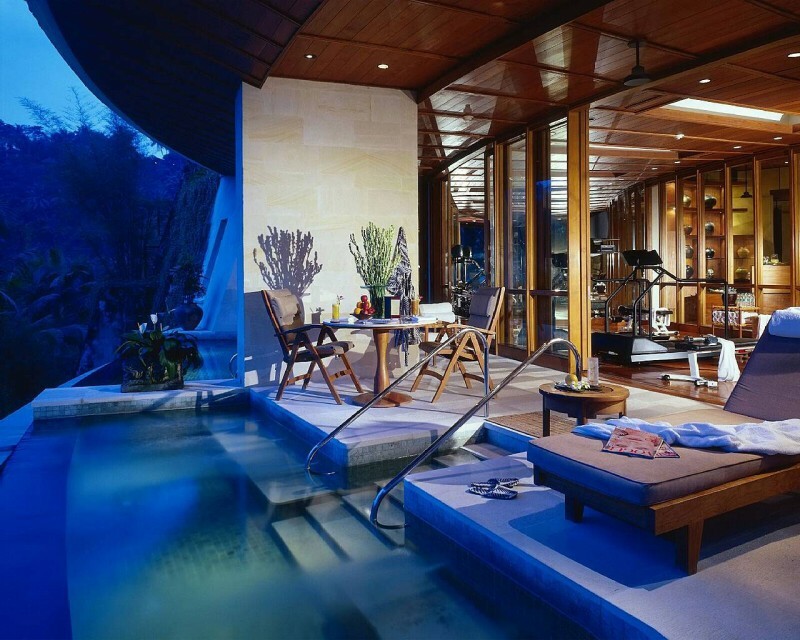 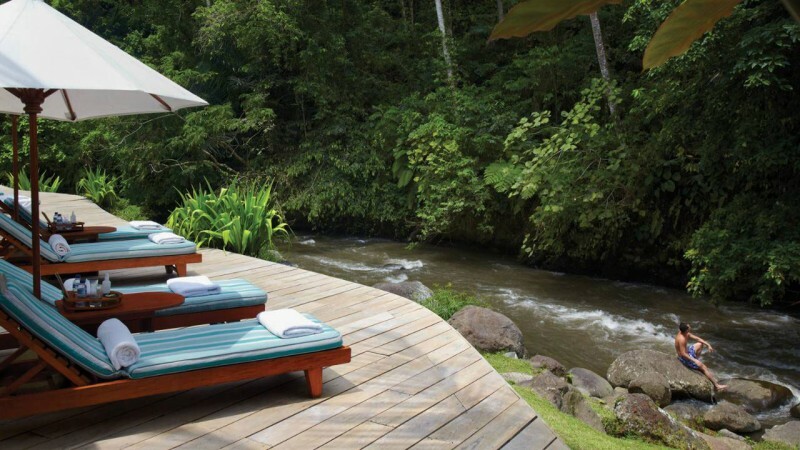 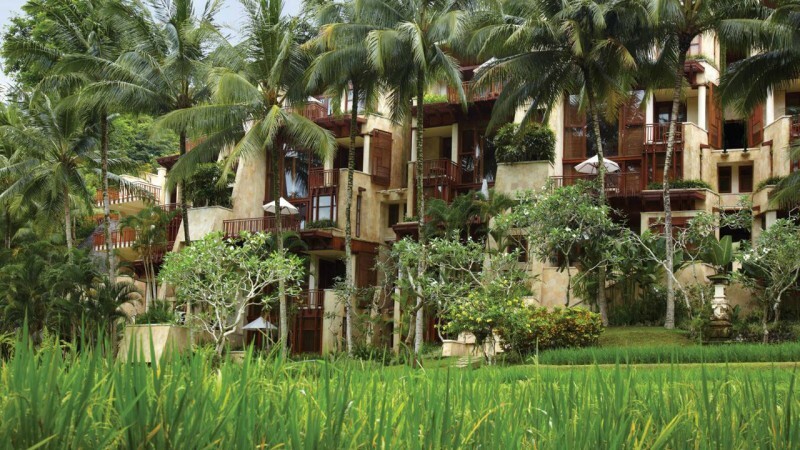 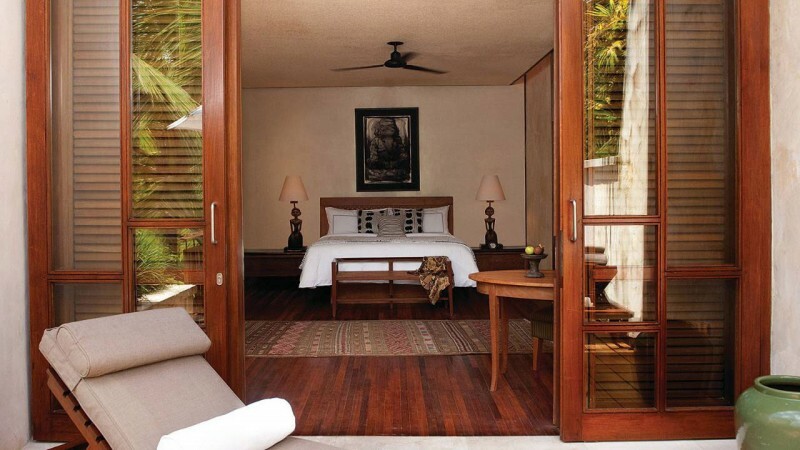 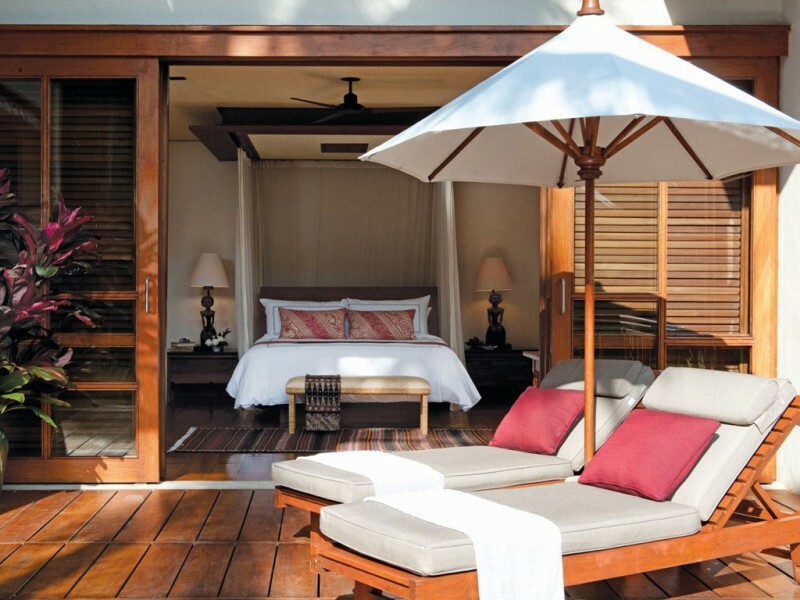 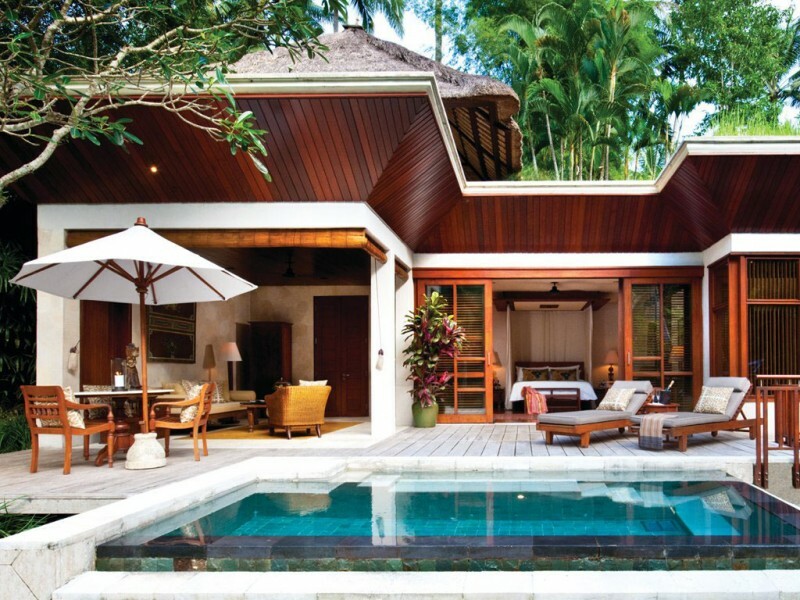 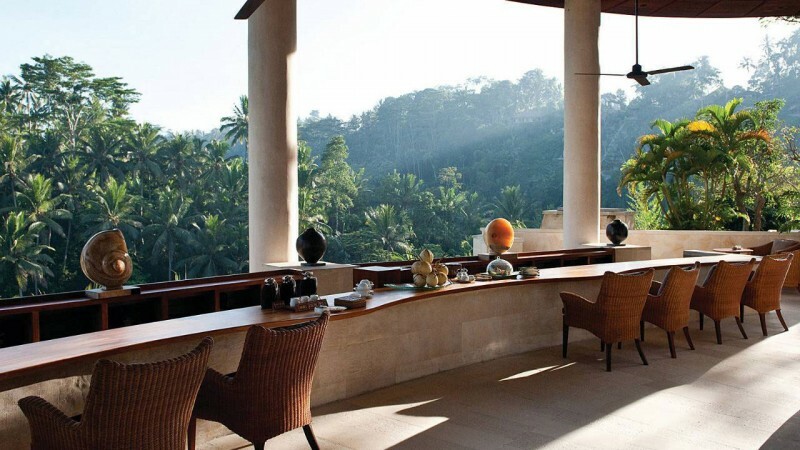 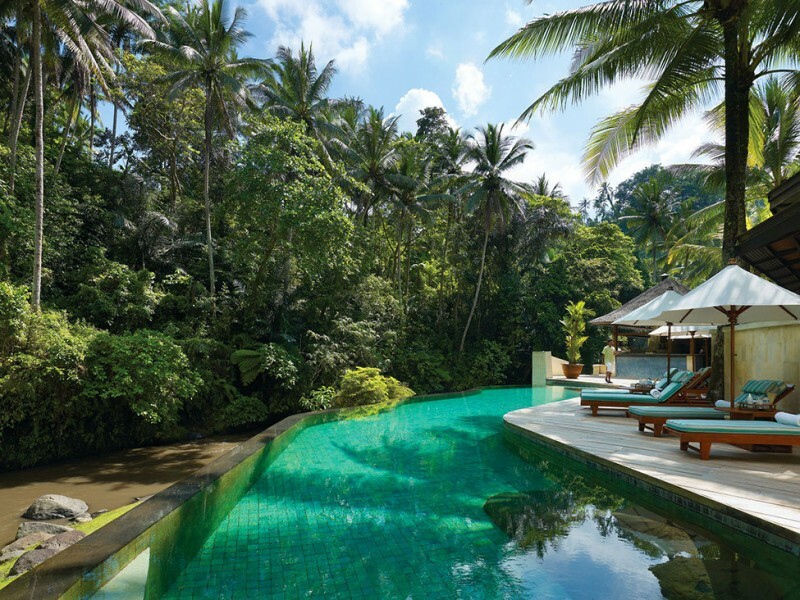 The Four Seasons Resort Bali is located in the village of Sayan, Bali. 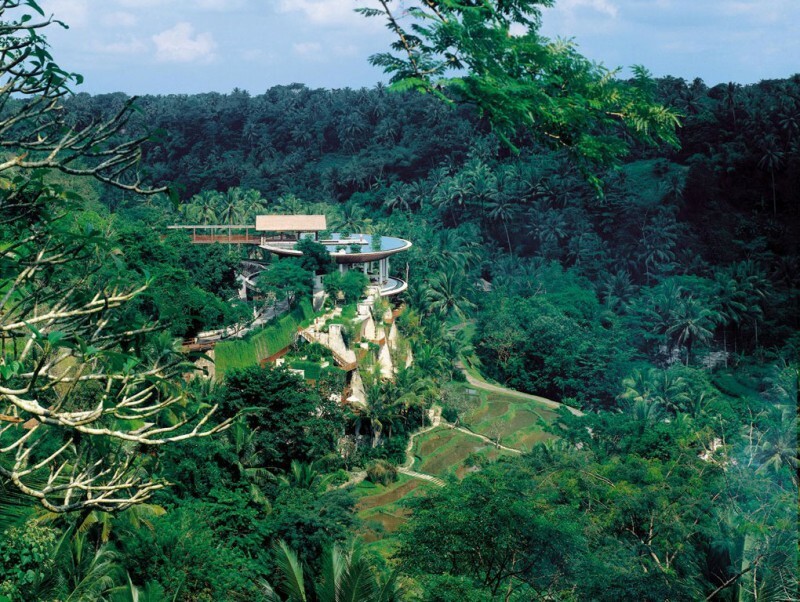 Surrounded by a lush rainforest, the hotel’s architecture is designed with its guests’ enjoyment in mind. 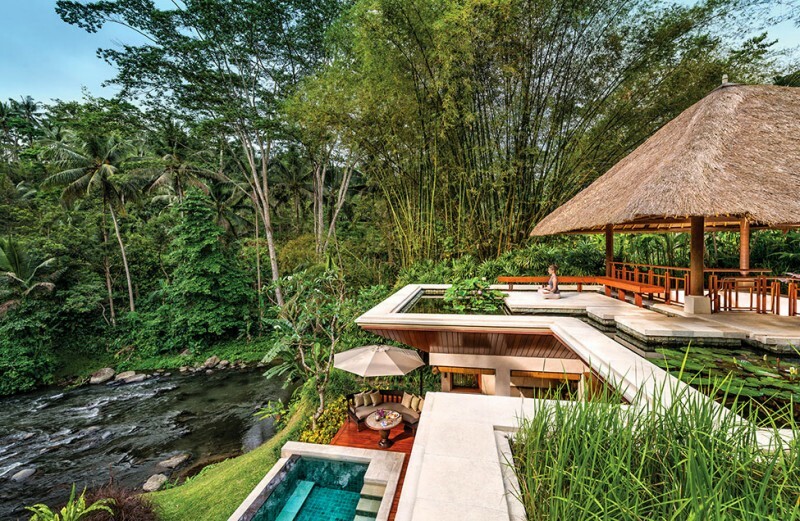 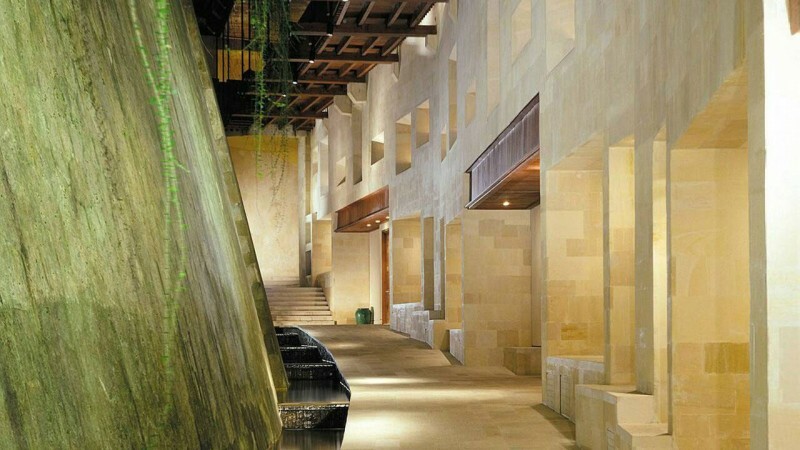 “Arriving at Four Seasons Resort Bali at Sayan is a breath taking, unique-in-the-world experience. 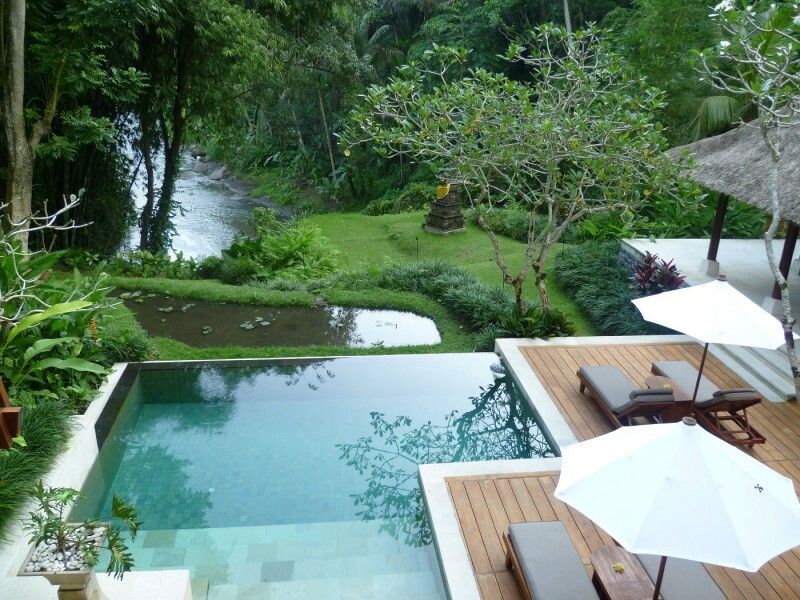 Cross a wooden footbridge above a lush valley and arrive at a circular lily pond that seems magically suspended in space. 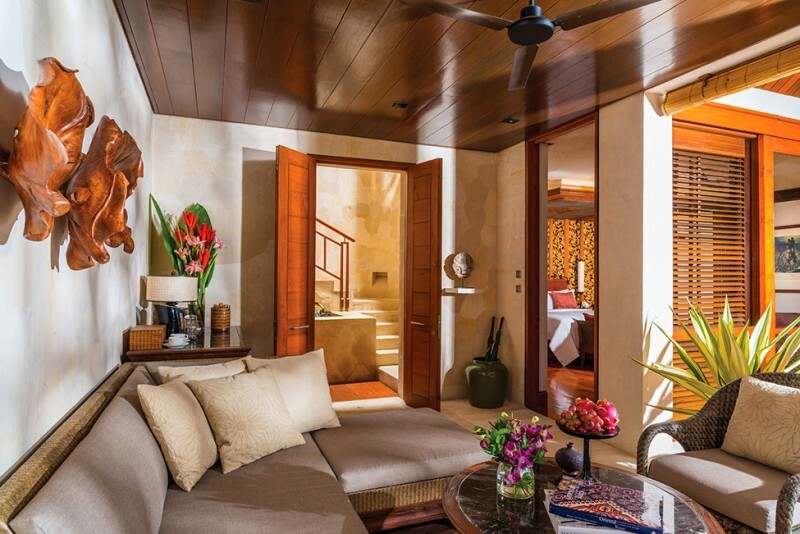 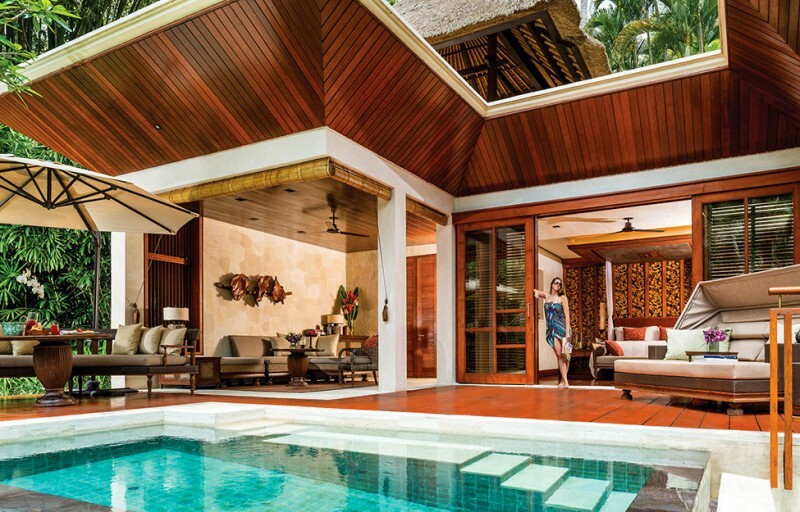 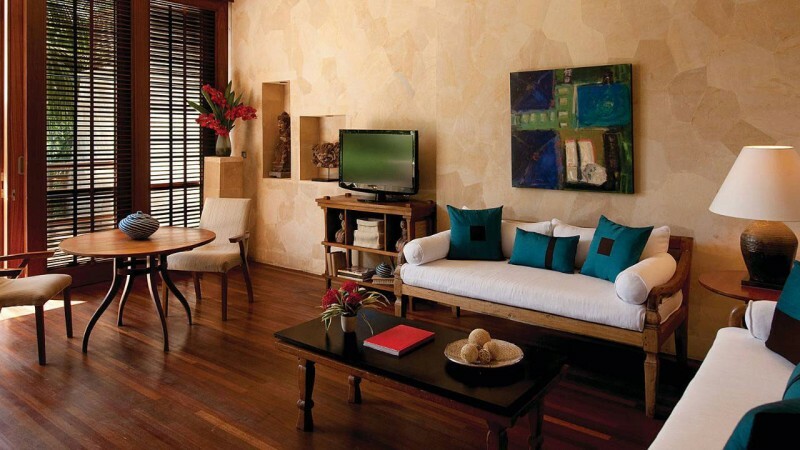 Relax in ultra-private accommodations – with just 60 suites and villas. 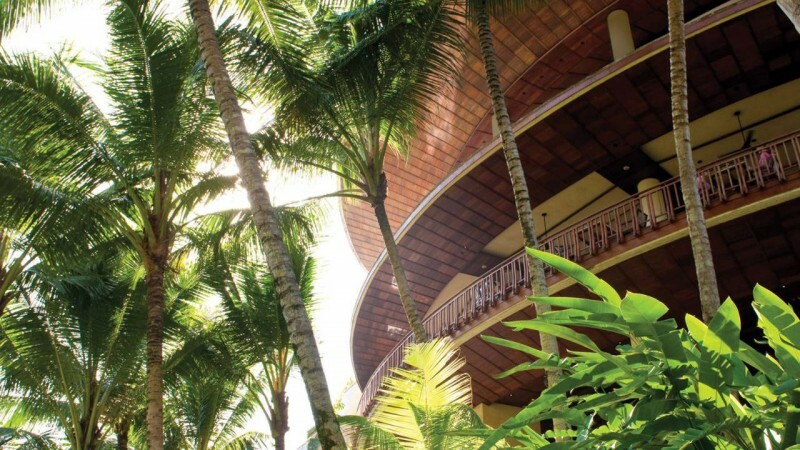 Dine on authentic local cuisine and pamper yourself with ayurveda-inspired spa treatments.